To help me, I have the previously mentioned Ubuntu Unleashed 2012 edition. Chapter 2 (Post-Installation Configuration) details the software update settings, I checked these out and they are fine, making doubly sure the “Proprietary drivers for devices” was set. Now check the Update Manager -> Additional Drivers and it gave the message “No proprietary drivers are in use on this system. Let’s fix this! Right, the book, er, where is the info? Just plug stuff in? What about my network printers and wi-fi mouse? None of these plug in. Ok google, what have you to say? HP say it only works for Windows 7 32 or 64 bit. Bah. Plug in a wired MS optical USB mouse instead and that works, instantly. This is more promising, “http://www.support.xerox.com/support/workcentre-6015/downloads/enus.html?operatingSystem=linux&fileLanguage=en” is a link to deb or rpm packages. What to do? Expand the descriptions and we find the deb mentions Ubuntu – this must be the one! Let’s click on it and see what’s up. It asks to open with archive manager and mentions “cups” – I’ve been here before so let’s see if I can work it out this time. The software centre has popped up and asks to only install the file if sure of its origin, ok then, click on install, enter the authentication password and that’s it. This is the password that was created during the install for the Administrator user. 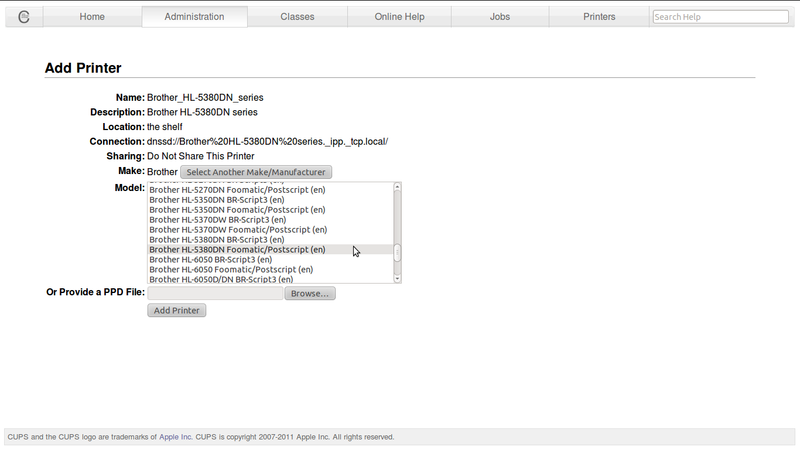 Select Add Printer, I’m happy with a default paper size of A4, so click Set Default Options to receive a confirmation of correct setup message. Use Cups->Printers->Xerox WorkCentre 6015N->Maintenance->Print Test Page to get a full page of test output featuring a colour circle. Use LibreOffice Writer to see if the printer appears in File->Print. 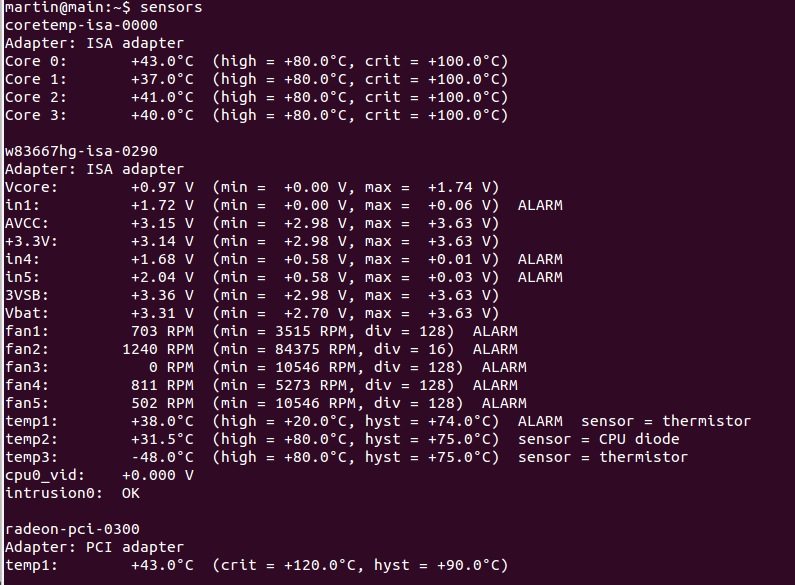 So now, lovely, that’s working. Step 2: use Ubuntu Software Centre to install ia32-libs – gives an option to install “Multi-arch versions of former ia32-libraries”. This is presumably Multi-Architecture; this is on a 64 bit machine so maybe these provide the older functions. Install anyway. Please click on “I Accept” while holding down “Shift” or right click on “I Accept” and select “Save Target As,,,” from the menu. Instead, just click on I Accept and click OK to open with the Ubuntu Software Centre and click Install. This again requires the password. Here we seem to be on our own, where the Brother documentation does not correspond at all to the Cups page reality. Never mind, it is all OK as long as the printer is on (mea culpa). 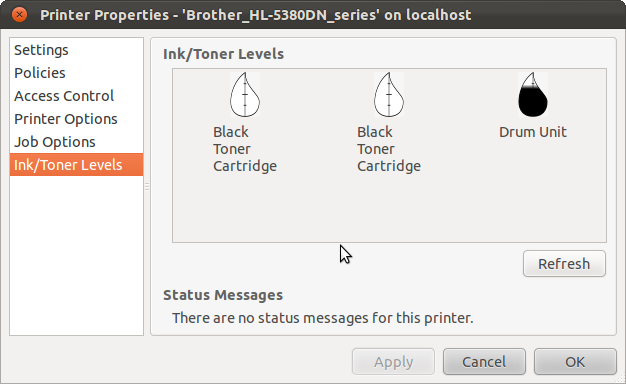 Lets try to Add Printer, and I get 3 copies of Brother HL-5380DN series (Brother HL-5380DN series). Is this one per each network path? How have I got 3 network paths to this printer? Anyway, select the first, continue, the descriptions look OK, the location is “the shelf” and continue to the model / driver / language / unspecifiable printer option screen again. There are two candidates, BR-script3 and Foomatic/Postscript, both “en”, English. What are these? A theory is that they are printer command languages, purely down to the use of Postscript. The BR-script3 sounds Brother specific and so I’ll just choose the other as it features a word I’ve heard of (scientific, eh?). On the next page, set Double-Sided Printing to Long-Edge (Standard). At this point, the printer did not accept any queries or jobs giving an error saying it could not be found. Various things were attempted including a troubleshooter. However, the option that worked was to delete the printer and add it again. This time there were four occurrences of the printer so I selected the last one instead of the first and tada! Well, when I said it worked, it connected, however the test prints didn’t. They produced blank pages or a command suspiciously like “please run a self test diagnostic” that wasn’t being interpreted as a command by the printer. Printing a test web page from firefox works OK but the print quality is poor. Is this because of the default 600×600 dpi? To test, set to 1200HQ – now looks much better. Xerox wins, Brother in second and HP were not even in contention. Was it better to have no driver than the unreliable Brother system? This is currently pretty unusable and for no obvious reason (to me). What is that with four printer entries in cups and three different drivers, one hidden? Null points pour les frères. With regards to the Proprietary Drivers dialog – this is still empty :-o.
sudo – no, not pseudo, just a way to run commands that can trash the system, er, under a higher priority to allow config changes etc. 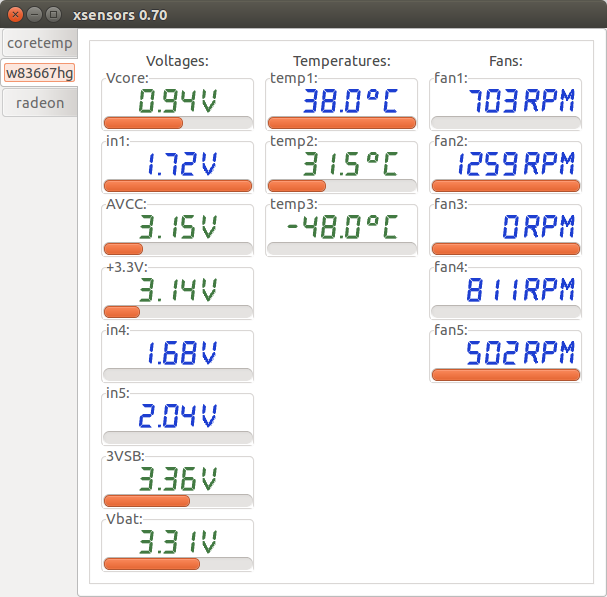 Update July 29th: had another go at the Brother printer under Ubuntu 12.04. The CUPs screens are now different, with only one printer offered. This works quite smoothly until it is time to print, when I get “Unable to locate printer “BRN001BA90BD121”. Which is most strange because it found it easily enough to install. The upshot is that it is now totally unuseable. This is a shame because obviously a lot of work has gone into the development of this, to be thwarted by some installation issue. Any help, most appreciated! Update Dec 3rd: the Brother printer has been working for a while now. I didn’t do anything else than I did in this post. Did it just need a bit of rebooting? Did the elves at Canonical / Kernel support fix something? Do computers magically start working? I’ve only tried a few pages from firefox so maybe there was an issue there. Cheaper than using the Xerox so good news!